And yet...3 months later...and 6 months later, and 12 months later...their portfolio keeps going up and up. If you're like most investors - your portfolio has barely budged. If you're lucky, you haven't taken any big losses from these volatile markets. What are these few successful investors doing differently? This is exactly what happened to me when I first started trading options. I read the books, I practiced with paper money, but when it came to real trades, I couldn't figure it out. That's when I decided to learn how options really worked. While studying I discovered how to flip the odds in my favor. I'm no longer a buyer of options, a loser's bet. Now I am selling options for a credit. Strategies such as vertical spreads and iron condors allow me to place trades that have a 90% probability of success. I fell in love. But I couldn't stop there. Since then, I've been refining and sharing my option strategy with the world via The Option Prophet. The Option Prophet is designed to show you the exact system you can use to triple your portfolio in 5 years. It teaches you how to stack the odds in your favor with options, how to manage your positions and portfolio, and how to protect your portfolio when the market drops. Trade alerts are delivered straight to your inbox - 1 hour before the market opens. You’ll have plenty of time to read the alert, ask questions, and place the trade in an easy stress-free environment. 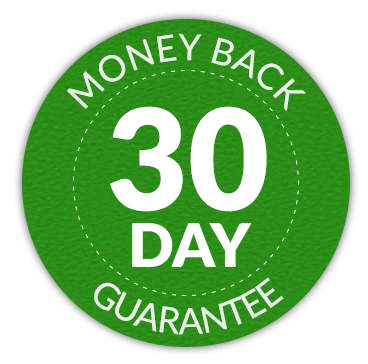 You will receive 3-5 trades a month. Trades are constantly monitored. Don’t waste your day staring at the trade screen worrying about what to do next. You will receive an update every week to the status of your positions and what actions (if any) to take next. Sleep easy – don’t leave your portfolio exposed to unexpected downside risk. Our personalized portfolio protection plan will custom tailor trades to protect your portfolio when the market drops 10% or more. We comb through the markets looking for the best trades. We spend our days analyzing volatility, probability, and overall market direction to find the very best and high probability trades for you. Our main focus is trading indexes, their ETFs (SPY, IWM, DIA), and stocks with high volume. We trade only the highest probability setup. Once we have our list of potential trades, we drill them down even further. We want to sell options on stocks with high implied volatility, are trading above major support areas, and have strikes that will offer us a proper risk/reward. You make your own informed decisions. We give you detailed trade recommendations outlining risks, rewards, and intelligence behind each trade. You also get complete instructions on how to place the trade... so you are never left wondering what to do. Learn how to setup, trade, and manage your option positions with our premium ebooks. Each ebook is tailored to teach you a new facet about options and make you a better options trader. Never miss a trade because you are too busy. You will receive detailed trade alerts delivered to your inbox 1-2 hours before the market opens. No longer waste your time staring at the computer screen waiting for the next alert. Enter the trade and you're done. Need help with one of your positions? Don't understand something about options? You're not alone. Join our Weekly Chatroom and Monthly Educational Webinar to get your questions answered and learn more about options. No contracts. No commitments. Cancel anytime, no questions asked.You have a full 30 DAYS to see if The Option Prophet is right for you. If you try it out and decide it’s not for you, just let us know and we’ll gladly give you A FULL REFUND. None. Our systems are designed for the beginner option trader. We will make sure you understand the trades and teach you how to run the systems in your brand portfolio brokerage. Can I trade these alerts in my IRA Retirement account? 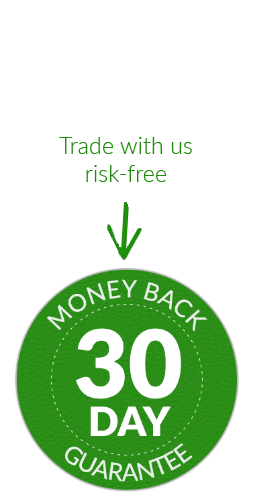 Even though we sell options you can still take our trades in your IRA account. We will have you focus on the spreads and defined risk trades. We’ve built our own IRA accounts on these trades. Absolutely! We have members from across the globe currently enjoying our membership. All you need is a brokerage account to begin trading. My portfolio is small; can I still make money? Our trade systems were designed to help traders with a $5,000 portfolio or a million-dollar portfolio. If you can’t make the trades yourself we do work with several auto-traders to make the trades for you: Global Auto-Trading, eOption, Halifax America and AutoShares.